Jorge Ulibarri is the Owner and President of Cornerstone Custom Construction based in Heathrow, Florida. Jorge has been in business for more than a decade creating affordable, luxury homes throughout Florida. Born in Mexico City, Jorge’s work is influenced the timeless Haciendas that grace the countryside of his birthplace. Jorge has a degree in Civil Engineering that allows him to produce structurally sound, authentic architectural masterworks. Jorge’s homes have been featured in the Orlando Parade of Homes and numerous publications. With the talent, taste and eye for intricate detailing and dramatic entryways, Jorge’s homes are celebrated for their exquisite craftsmanship and practical living spaces. Based in Orlando, Florida Jorge designs and builds each home as the personification of a homeowner’s lifestyle and enduring legacy. It may surprise you to learn that his homes are much more affordable than they appear. Jorge is happy to share his strategic, money-saving know how with anyone who asks. Beck Custom Homes, LLC brings over 25 years of home building experience in the Orlando area housing market. As a highly regarded second-generation custom home builder in the Central Florida area, Barry has built in some of Central Florida's most prestigious communities from Lake Mary and Windermere to the Lake Nona area. We are a “hands on” quality builder which requires us to get our hands dirty and be on your job sites daily. At FG Schaub Custom Homes we have a mission to build extraordinary homes for discriminating families and individuals. Our homes are the result of more than a century of combined experience and unerring attention to detail. By selecting premier locations in Central Florida, the finest materials and true craftsmen, we have achieved the perfect balance of luxury, sustainability and value. Our homes are designed by some of the nation’s leading architects with an eye to the harmony between form and function. Our home locations of are chosen with care, only selecting those with the best accessibility and the most prestigious addresses in Central Florida. Walter Price Design Build is a residential remodeling firm who understands the home should provide your family more than just shelter. Established in 1992, General Contractor Walter Price has worked in the Orlando area building new homes, remodeling historic designated homes, remodeling kitchens, bathrooms, and living spaces. As a design build firm, Walter Price Design Build is diligent in using the best construction practices while considering the integrity of each building. I have several years of Design experience, I earned my B.A.S. in Interior Design as well as my Technical Certificate for Kitchen & Bath Design from Seminole State College of Florida. I am a Designer at S&W Kitchens; its' a one stop shop for your home renovations, we have our own state licensed, insured & Ask the Seal approved construction team whom we work close with and use only the best products. With S&W Kitchens we provide you with Design services, product selection & project management. We are a family owned company since 1977 with 5 showrooms and a passion to create beautiful spaces for years to come! Since 1987, PSG Construction has provided exceptional new custom homes and renovation services to homeowners in Central Florida. Owner Paul Gidus keeps an open communication line throughout every project. Company policy is to keep the job site as safe and clean as possible, while creating minimal impact on clients during the course of the project. Subcontractors provide high-quality workmanship and follow stringent rules and regulations that are posted at every project site. In turn, subcontractors respect the team-like approach we have adopted. PSG Construction has held leadership positions in a variety of professional organizations including Home Builders Association of Metro Orlando, Florida Home Builders Association, Remodelors® Council, National Association of Home Builders, National Kitchen and Bath Association, and Master Custom Builder Council. An award-winning luxury homebuilder for more than 20 years, Charles Clayton Construction is nationally recognized as a leader in the industry. With a geographic reach that extends throughout Central Florida and coastal Volusia County, CCC specializes in one-of-a-kind new construction and whole-home remodel projects. Exclusive, one-of-a-kind homes with magnificently detailed craftsmanship and the highest quality construction are hallmarks of CCC. 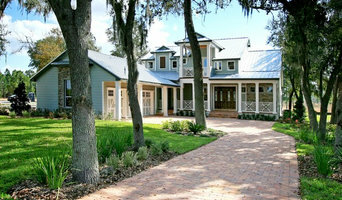 Home Projects are managed by some of the most seasoned and focused construction professionals in the state of Florida. 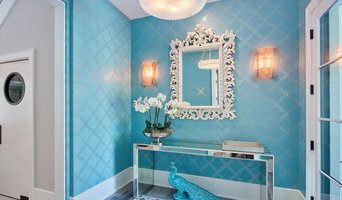 Intermark Design Group was founded in 1994 by Rick Thomas. Over the years, Intermark has successfully completed countless jobs in residential, commercial and public sector industries around the world. Our foundation is built on strong customer service while dedicated to our client’s satisfaction. We now operate from our own 20,000 square foot facility headquartered in Orlando, Florida. We are a design-build team that will work under a single contract with the project owner to provide design and construction services. One entity, one contract, one combined flow of work from the initial concept through the completion. A design and build company does pretty much what it says on the tin – designs and builds your home; helping you design your own house from scratch, pick out the small details and actually bring your dream home to life. They will take on the responsibility of planning the project, drawing up the designs, costing, sourcing the building materials and supplies, building the structure, installing any permanent features and possibly advising on the interior design of your home; all while consulting you every step of the way. A design and build company in Orlando, FL will usually employ in-house architects to handle all of the technical design aspects of your renovation or build, whether that’s to design a house or just a kitchen, and will also have main contractors or project managers that will oversee the construction work. The project managers will either work with external building contractors or construction companies, or the design and build company may employ their own builders to carry out the construction work. Either way, all the work is managed by one company and so this means communication is easier and the work is more streamlined. You’ll probably have just one design and build contract, making responsibility simpler and clearer, and also reducing costs for you. However, you should always check this design and build contract closely to see exactly what the firm is agreeing to take responsibility for, so that you don’t get left in the cold at any point. You don’t have to build your own home to hire an Orlando, FL design and build firm. If you are renovating one or a few rooms of a house, a design and build company in Orlando, FL can still help you – they can design a kitchen, bathroom, bedroom or living room and then complete all of the renovation work for you. This could be a really good option if you are selling your home and want to increase its value quickly – hire a design and build firm in Orlando, FL to redesign and renovate a few rooms of your house without the hassle of dealing with various professionals or the time-consuming effort of doing it yourself. If all of this sounds ideal, then start searching for design and build procurement companies in Orlando, FL that can design a house, or room, for you and discuss design and build contracts with you. If you want to look for more specialised contractors, designers, architects or builders to help you renovate or build your own home, then you can still find them on Houzz. Here are some related professionals and vendors to complement the work of design & build: Interior Designers, Landscape Architects & Garden Designers, Architects & Building Designers, Photographers. How long have you been an established design and build company in Orlando, FL? Find a design and build company on Houzz. 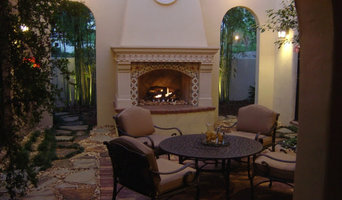 Narrow your search in the Professionals section of the website to Orlando, FL design and build contractors. You could also look through Orlando, FL photos to find a project you like, then contact the design and build company in Orlando, FL that created it.